Did you know that the calorie count for dogs matters just as much as it does for humans? In fact, keeping an eye on the nutrition facts for your homemade dog treats is essential to promoting an active and healthy dog lifestyle. Who doesn't want to treat their furry friend to a special treat on occasion? Whether you're using them for obedience training or just to remind your pooch how much you love them, manufactured dog treats are usually hit-or-miss. Some are made overseas using terrible quality scraps while others, even those made using high quality ingredients, contain common allergens or simply far too many calories for you to feed your dog with a clear conscience. According to Dr. Donna Raditic, who is a veterinary nutritionist based out of Georgia, most off-the-shelf dog treats are filled with preservatives, salt, sugar, coloring, and artificial flavors. All of those things spell trouble for your dog's health, especially if they happen to already have weight or health problems developing. So, the question becomes, how can you give your dog a nice treat without contributing to obesity or poor health? Baking your own dog treats might be the answer! However, just because you whipped them up in your own kitchen doesn't necessarily make them healthier for your dog. In order to promote good health for your pup, you need to follow some basic nutritional guidelines. If you do, you can make delicious and drool-worthy treats every time. Before making homemade treats for your dog, you should consult with your veterinarian, especially if your dog happens to be on a prescription diet or has special requirements. 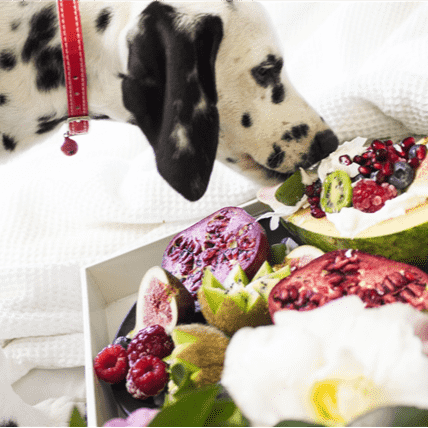 For instance, if your dog is eating a special diet in order to prevent urinary stones from forming, you need to carefully select the ingredients you put into their homemade treats. The same goes if your dog has sensitivities or allergies to certain foods. Avoiding accidents and foodborne illness is essential when baking dog treats at home. Make sure that you follow these tips to help keep you and your pooch safe! First, prevent injury by barring your dog from the kitchen while you bake. They are sure to smell all the delicious ingredients you're using and end up craving a taste test, but having them under your feet is a tripping hazard. Dogs also can't grasp the concept of a hot oven or stove. Keep them away while working by putting up a dog gate at the door. In order to promote good health, do not use baking molds that contain BPA as it has been linked to health maladies such as cancer. Also, be sure you check all ingredients for dog safety before using them in your treats! Xylitol, onions, chocoholic, garlic, and raisins are among some of the most toxic foods for dogs. They should definitely be avoided and kept away from your dog treats. Several peanut butters these days use xylitol as a sweetener, so be sure to check the label of all the products you're using for your homemade dog treats. You never know when something non-dog friendly might sneak through! If you are confused about whether or not something is safe for your dog, don't hesitate to do your research. The treats can wait! The Animal Poison Control Center, ran by the ASPCA, runs a database of ingredients that are known as toxic to animals. You can also call 888-426-4435 if you believe that your pet has eaten something they shouldn't have, and they can help you through the response process. Finally, be sure that you cook all ingredients to an adequate temperature. Salmonella, for instance, is one common pathogen that could be present in the eggs you use along with flours and other ingredients. If you're using meat, be sure you cook it to at least 165 degrees before serving. Don't add unnecessary or unhealthy ingredients to your dog's treats. Even though you might like a certain ingredient in your favorite treats, that doesn't mean it is good or even satisfying for your pup. There is no need to frost their biscuits, for example. They will eat them just fine as a plain old cookie! If you want to make a fun and cute treat that is healthy for your dog, instead employ stamps and molds to make adorable shapes. These don't add any extra calories or sugars and they deliver a result that's just as sweet. When finding a recipe or coming up with your own, it is also important that you avoid fat. When eating high-fat foods and treats, your dog can develop pancreatitis. 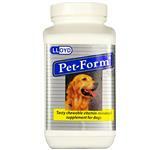 This is when they have painful inflammation in their pancreas, and it can even lead to hospitalization for your dog. Vegetables and fruits are often a safe bet when trying to flavor and even color your dog's treats. Broccoli, carrots, summer squash, Brussel sprouts, zucchini, pumpkin, celery, cucumber, kale, spinach, apple, and dandelion greens are all great things to include. Peaches, pears, strawberries, bananas, and even sliced blueberries can also be a good choice. Your dog might not be watching their figure, but you should be. 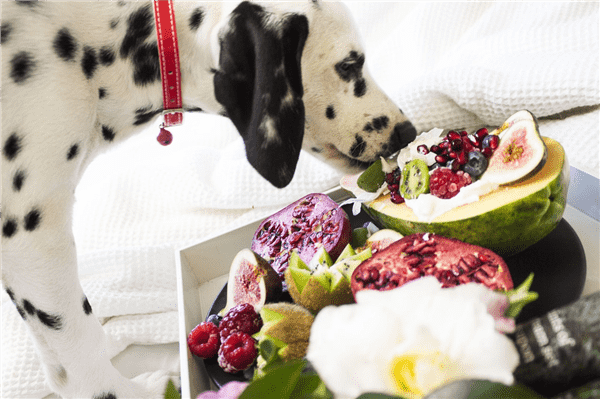 Overfeeding your pup can lead to nutritional imbalances, and that's especially harmful if your dog already eats an incomplete, unbalanced diet. 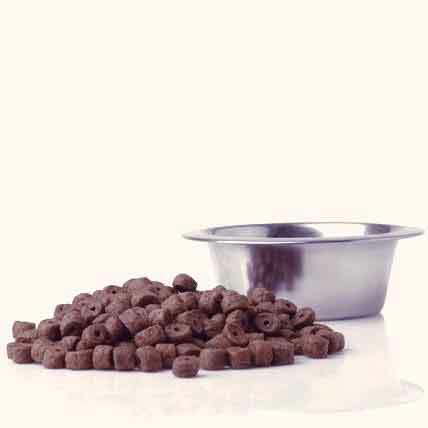 You should not substitute a part of their balanced diet for a treat, but you also should not keep your dog's food intake the same and add treats on top of it. 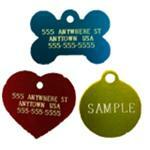 Be sure to calculate the calories for each dog treat based on the ingredients you used and how many servings you made. In all, the treats you give your dog should make up less than 10% of their daily caloric intake. The other 90% should come from a complete and balanced diet. Ideally, treats should be less than 5%. Weigh your treats on a food gram scale to help you get accurate measurements. If your dog is eating 100 grams of food per day that gives them 35 calories per gram, they are eating about 350 calories each day through their diet. If you add a 10-gram treat that has 4.0 calories per gram, you have raised their intake to 390 calories and that can have a significant impact on their weight. Do your research, do the math, and take the time to keep your pooch healthy!